According to Statistics New Zealand data, research and development by tech firms (computer services and scientific and tech services) made up 35 percent of all R&D investment in 2018. Computer services companies alone invested over half a billion dollars in R&D. 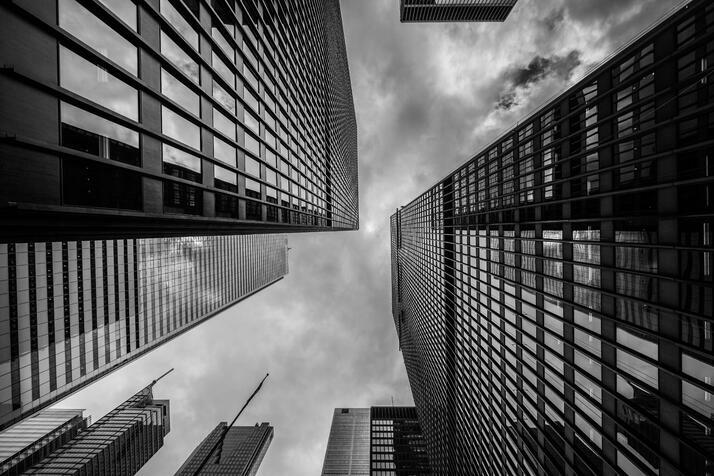 NZTech says the tech sector is now made up of more than 20,000 firms, most of them small businesses, yet they contribute around $16 billion to GDP and close to $7 billion in exports, making it New Zealand’s third largest export sector. When you compare this to tech companies in the U.S., the difference is stark. 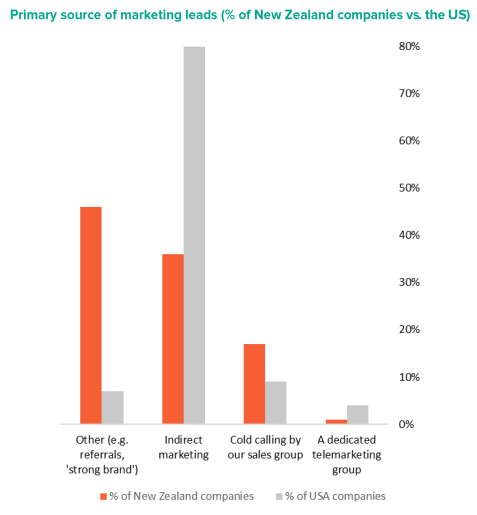 Indirect marketing is the primary source of marketing leads for 80% of USA companies, compared to 36% for Kiwi companies. 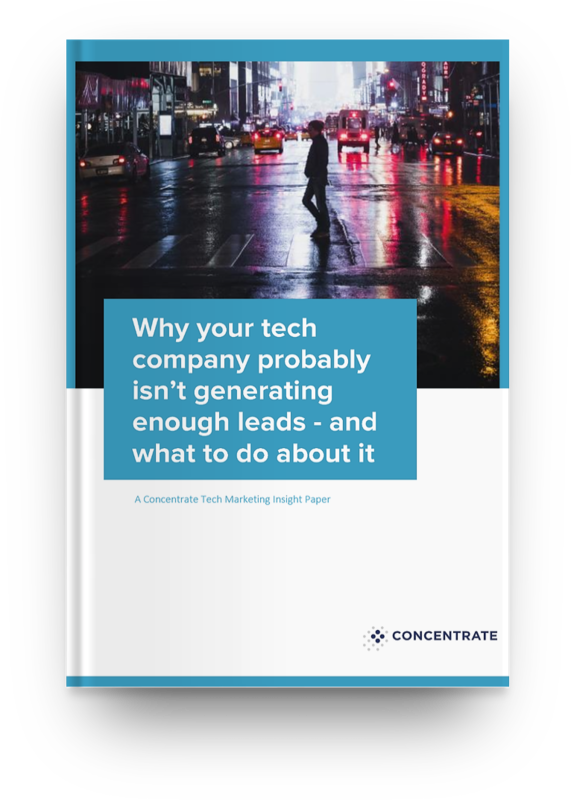 In Concentrate’s latest Tech Marketing Insight Paper, Why your tech company isn’t generating enough leads – and what to do about it takes a look at this particular challenge. Based on data from the annual Market Measures study of hi-tech sales and marketing, this paper outlines the problems, one of which is that there's too much expected of sales teams. They're doing too much of the lead generation, while marketing is doing too little - and this is an inefficient way of boosting sales. There's a lack of lead generation support typically provided to Kiwi tech sales people, compared to their U.S. counterparts. Too often, marketing teams aren’t doing enough to provide the sales team with the tools and the leads they need to boost sales. This is a role that marketing needs to take seriously, empowering sales teams to sell efficiently at a higher velocity. This makes the sales job easier, more transparent and more successful. The transformative powers of digital technology are changing this, as marketing and selling is becoming more programmable and measurable. This makes concepts like selling efficiency hugely relevant to Kiwi tech businesses. Download the Insight Paper to learn about three ways to improve sales efficiency - making marketing responsible for delivering sales leads, Investing in sales enablement technology, and Improving sales and marketing alignment.